In 2016 YouGov asked the UK public if they felt “politicians and the media talk about economics in a way that is accessible and easy to understand”. So, we started a campaign to reclaim what economics is really about – seven billion stories, the lives we lead, and the choices we make. We’re calling it “understandable economics“. Our work can be divided into three main areas: finding out how people feel about economics, providing a 'stop-gap' of products which represent the change we want to see, and campaigning for others communicating around economics to do so in an understandable way. We're researching how people feel about economics through everything from focus groups, to vox-pops, to large-scale polls. 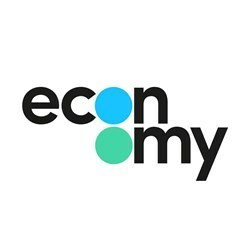 We're capturing how people respond to the word 'economics', how they'd describe their relationship to the economy, and what they expect from those who communicate about it. This research leads us to an understanding of who most needs the work we do (our audience), how we should reform economics (our campaign), and what we should directly offer ourselves (our products). Our website is the place for news and entertainment on everything from food to sport to the big issues. We make sense of the dry stuff in the financial press, bring clarity to the economics of current news stories, and find economics in popular culture. Our Learn section provides jargon-free explanations of the economic concepts behind our daily lives. Our Act section offers community resources for anyone who wants to start conversations in their own communities via workshops, quizzes, crash courses and meet-ups. Our campaign works to influence anyone and everyone communicating about economics in the public sphere to do so in an understandable way. We work with representatives from finance, the media, politics, academia, and education to bring about institutional-level change, providing them with research and recommendations on how to speak effectively with and involve people in the work they do.